﻿ DogBerry Brewing - Ohio. Find It Here. Make plans to have a pint or two at this laid back brewery in West Chester, Ohio! DogBerry Brewing is owned by two local dads who share a love for craft beer. The range of craft brews is impressive, and the beer taps change on a regular basis. Check the chalkboard for the taproom's current lineup. 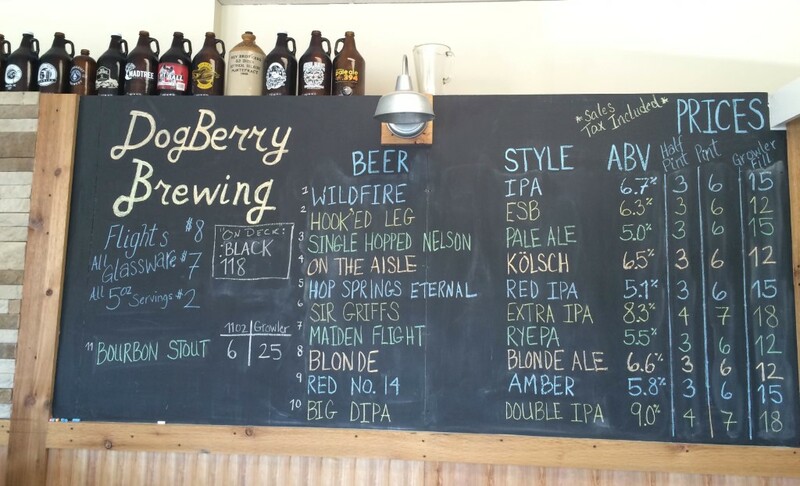 From craft beer beginners to tasting experts, DogBerry has a beer for you. If you're feeling curious, ask where some of the brews got their names. Food trucks are often found in the parking lot for when hunger strikes. Feel free to challenge other brewery-goers to a friendly game of Foosball. Make sure to check the DogBerry website, Facebook or Twitter for taproom hours.